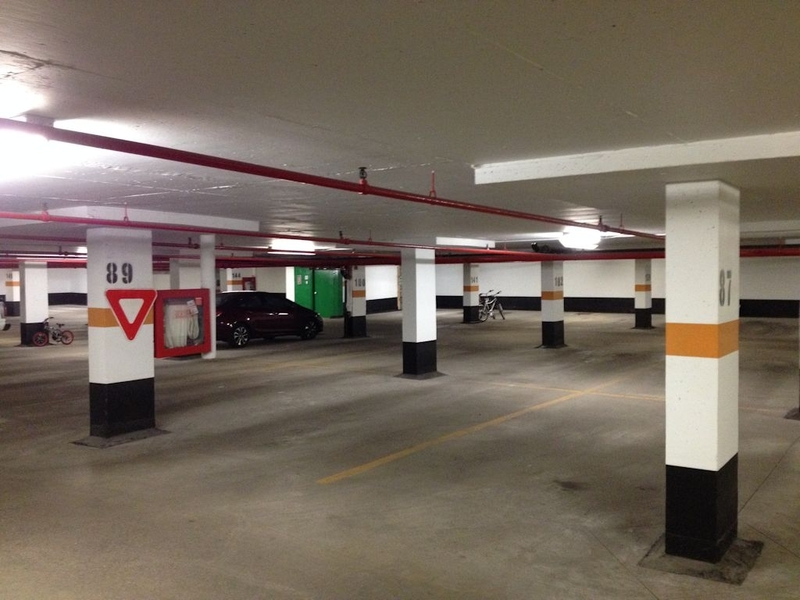 Parking Garages - Expertise - Brown & Beattie Ltd.
Brown & Beattie Ltd. has completed assessments and designed repairs to parking garages servicing both residential and commercial buildings. 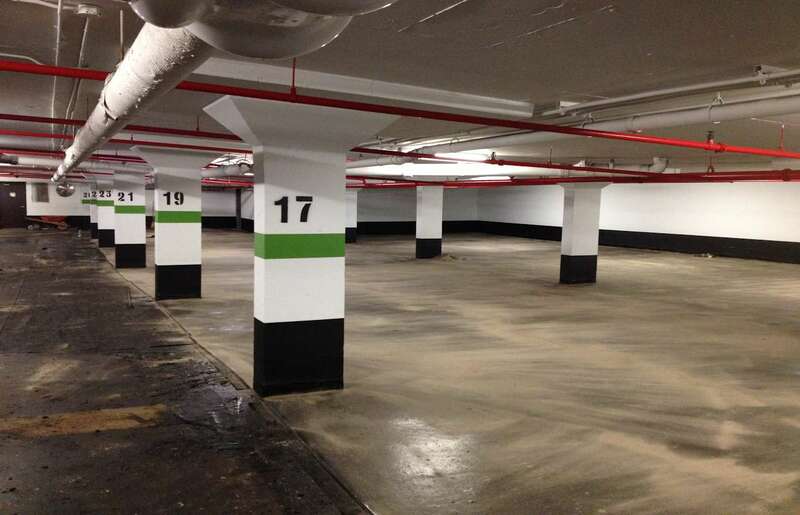 Expertise includes concrete repair, slab replacement, ramps, columns, walls and waterproofing systems for both underground garages and above-ground parkades. During the repair of garage roof slabs work also includes the restoration of pavements, landscaping, walkways, fencing and recreational areas such as tennis courts and swimming pools as well as site lighting improvements. Waterproofing expertise includes hot and cold-applied rubberized asphalt, urethane thin systems and mastic asphalt as well as specialty coatings and expansion joint systems. Our specifications include additional design requirements and details to increase the performance of these systems. Drainage improvements are incorporated into the designs to improve the durability of the new waterproofing. Specifications and designs are customized to minimize disruption to building use and operations such as maintaining building exits, fire routes, access to parking and garbage pick-up. 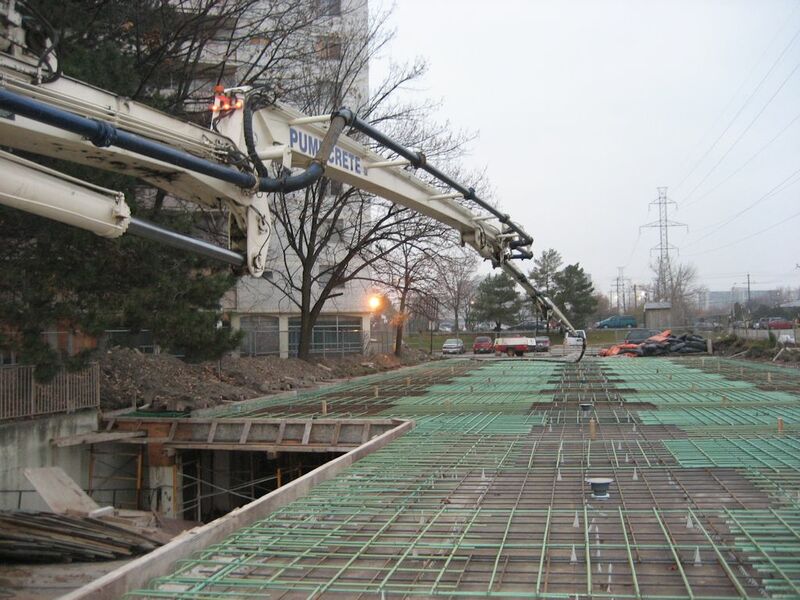 Hydro-demolition is sometimes specified to remove deteriorated concrete to reduce the impact of noise and vibration on residents. Parking Garages play an important role in today’s compact city centre’s. We find them at our offices, residences, public transit stations and more. The interior suspended slab at this two level residential parking garage in Brampton was completely restored, including structural concrete repairs, new mastic asphalt waterproofing system and painting of walls, columns, ceilings and services. The garage entrance ramp was also updated with new waterproofing a new snow melting system. The expansion joint waterproofing system at the buried garage roof slab was also replaced along with a new garbage pad. 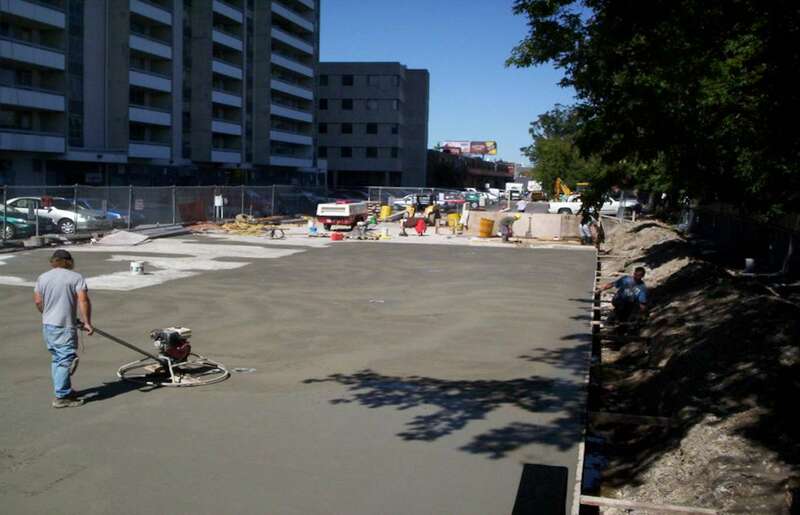 This two level residential parking garage in north Toronto was completely restored, including replacement of the entire interior suspended slab. New waterproofing systems were applied to both the garage roof slab and new interior suspended slab to provide long-term protection against deterioration causing moisture and salt ingress. Brown & Beattie prepared specifications, contracts and provided related construction review services to ensure that specified standards were met.